Throughout our discussion Tom talks about his career, what inspires him and his motivations to delve into social media in education. 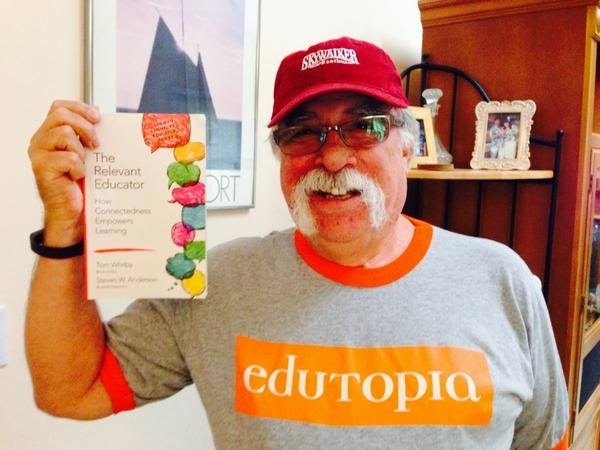 He discusses #edchat and what drove the creation of a new innovation. We talk about global connectedness and discuss what his classroom would look and feel like if he was in the classroom, teaching today. What really sticks out for me is his passion and dedication to educational betterment. Truly inspiring – ENJOY! Craig thank you so much for posting this interview. Tom was most inspiring! It’s nice to listen to someone with so much experience. I love that he is embracing technology too. Very Inspiring. Thank you.